Hello, friends, and welcome to this week's Grace at Home party. "Let no corrupt word proceed out of your mouth, but what is good for necessary edification, that it may impart grace to the hearers. And do not grieve the Holy Spirit of God, by whom you were sealed for the day of redemption. Let all bitterness, wrath, anger, clamor, and evil speaking be put away from you, with all malice. And be kind to one another, tenderhearted, forgiving one another, even as God in Christ forgave you" (Ephesians 4:29-32). 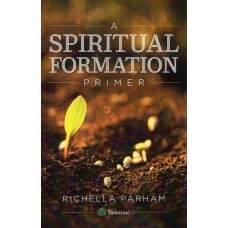 Each of us has a sphere of influence, and for most of us that begins in our homes. So this party celebrates the ways we make our homes places of grace. Here are a few links from last week's party that caught my eye. Thanksgiving is very much on my mind right now--it's just two weeks from today! Marty from A Stroll Thru Life provided lots of great inspiration for creating a beautiful table for Thanksgiving celebrations. 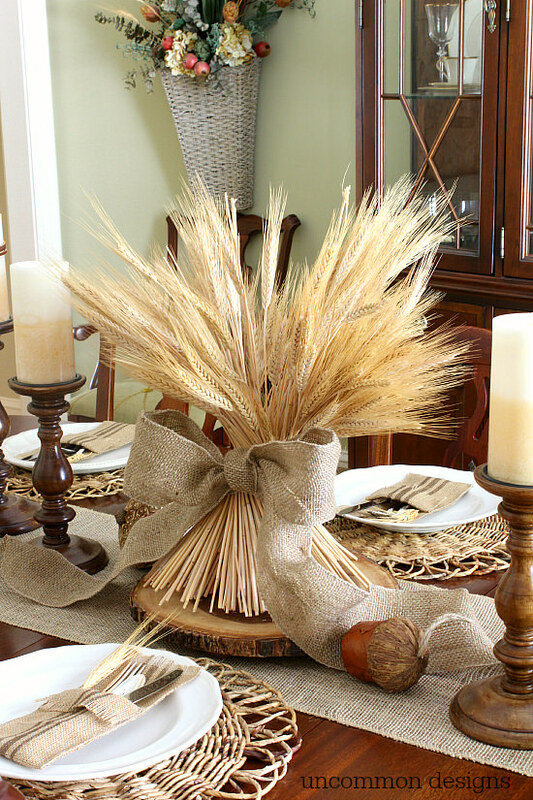 Lori at Dining Delight showed us how she decorates her sideboard for Thanksgiving. I particularly like this, because I keep my table clear to hold food on Thanksgiving. 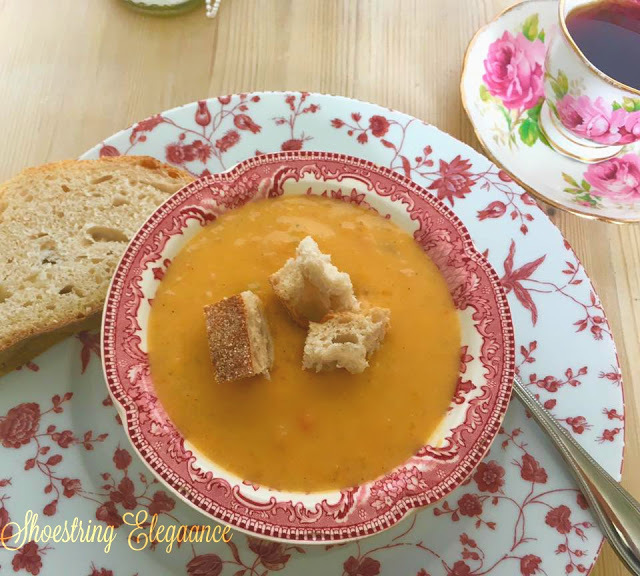 Theresa at Shoestring Elegance shared a recipe for making butternut squash soup. Doesn't this look delicious? 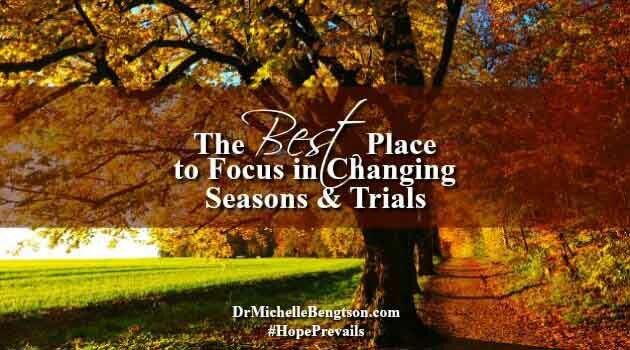 And Dr. Michelle Bengtson provided a helpful reminder of the best place to focus in changing seasons and trials. Thank you for hosting Grace At Home! each week! Thanks so much for the feature, that is always exciting. Thanks also for hosting such a fun party. Thanks for hosting, Richella! I always love linking up! Have an awesome Thursday, my friend! 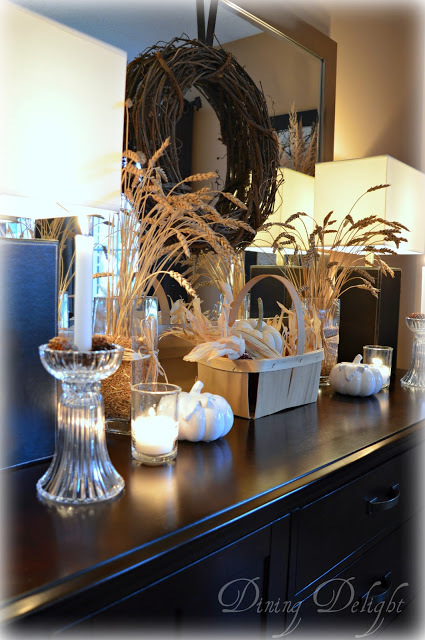 Thank you so much for featuring my Thanksgiving Décor on the Sideboard at this terrific party. Thanks for hosting amidst your angst of election happenings - as a Canadian looking on, I feel for you and appreciate that you choose to "impart grace" at this time. You are right, this has been a difficult week. Thank you for sharing your prayers. Thank you so much for featuring my soup, as well. Can I change my attitude? I hope so.